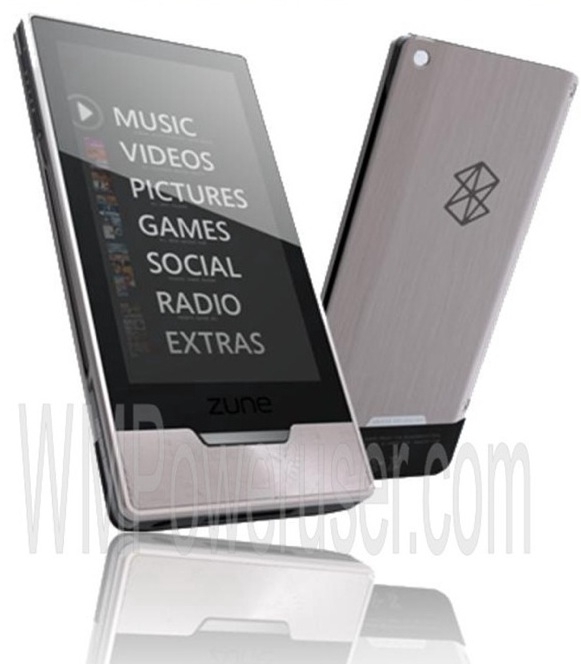 Rumor Roundup: Zune HD to Get Pixie Dust, Fairy Wings? With the influx of rumors about Microsoft's (unconfirmed) upcoming Zune HD, we're starting to see news that the device will support everthing from wireless streaming of Netflix content to telepathic track switching (not really, but that would be cool). Here are some of the choicer rumors followed by my take. ...will feature a 3.6" screen. Seems pretty reasonable. The current-generation Zune80s have a 3.2" screen which has been fine. The larger form factor will make it more enjoyable to watch movies, especially with a 1.85:1 aspect ratio. My main concern is the effect a higher pixel density and resolution will have on battery life. ...will be powered by Tegra. Check out the video in that article and tell me that it wouldn't be a great way to browse your music and videos. Again, battery life will be an issue, but it might be worth it. Also lending creedence to this rumor is that Microsoft is an official Tegra partner, which is planning on launching mid-2009. Zune is the only portable device I know of that Microsoft makes. Tegra on Zune HD will also make way for more powerful XNA and Xbox game support, maybe this will finally be the Xbox portable? ...is getting HD Radio. Not so sure about this. I don't know enough about HD Radio, but I haven't seen anything smaller than a car-sized unit, let alone implemented on a portable media player. The Sirius and XM players I've seen have been bulky and cumbersome, and I doubt enough people care about HD Radio for Microsoft to waste space with another chip. ...will have flash storage, between 16 and 32 GB. It doesn't make sense to include such a small amount of storage for high definition content. If Microsoft wants to make an impact, they're going to have to release a 64 GB version. Neowin is predicting 4, 8, 16, 32, and 120 GB versions (maybe the HD in Zune HD stands for hard drive?) I'm predicting 32 and 64 GB models. ...will have mini-HDMI out. Again, this would make sense, and could make video out finally useful. A browser, multi-touch, and an international release should all be a given this time around. Hopefully the other stuff will pan out too. We'll probably learn a lot more as the predicted fall release approaches.